SAN JUAN, Puerto Rico (April 25, 2017) — A convention center, medical office buildings and condominiums, office buildings, retail space and other properties will be among more than 30 offerings in an upcoming auction of real estate in Puerto Rico. John Dixon & Associates will conduct the auction, set for Thursday, May 11, in cooperation with Christiansen Commercial Real Estate. “This will be a remarkable opportunity for investors, or for those seeking a location for a new or existing business. Quite a few of these commercial properties have been used as medical offices and facilities and are suitable for general office space, retail space, and other purposes as well,” said Drew Dixon, of the auction company. 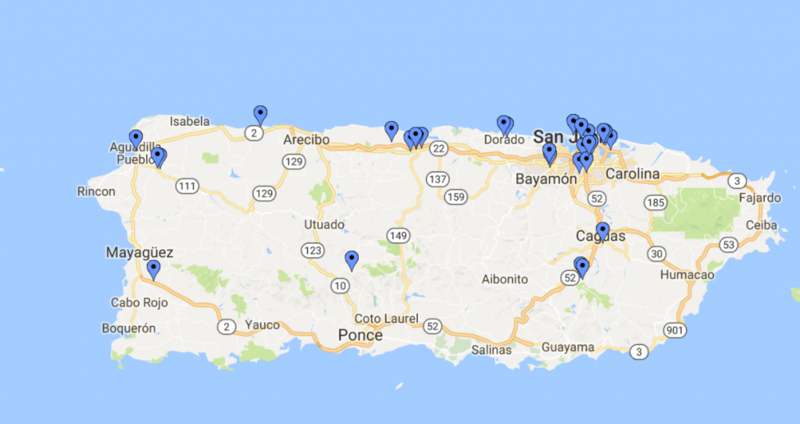 “Some of these are currently producing income, and many are quality buildings in highly desirable areas of San Juan, Manati, Carolina and other cities, especially along the northern coast,” he said. Individual offerings include several attractive properties in Manati, including a commercial condominium in a medical plaza, a three-level commercial building with 19 parking stalls, and a commercial building formerly used as a surgical clinic. The largest concentration of offerings is San Juan, including commercial condominiums, commercial buildings, a home, and a mixed use building. Other properties offered include a convention center in Moca and a medical office condominium in Caguas. The auction will begin at 2 p.m. Thursday, May 11, at the Condado Plaza Hilton, 999 Ashford Avenue, San Juan. The event will be streamed live, with online bidding available by prior arrangement. Individuals seeking more information may call 800-479-1763 or visit www.johndixon.com.